These are the stock reservoir shocks off my 2011 Rhino 700 Sport. I am selling them because a couple of them began leaking pretty bad and I decided to go with a different suspension setup instead of rebuilding the whole set. The right rear was leaking badly. One of the fronts leaked, although I can't remember which one for sure. These shocks need to be rebuilt. They have less than 1000 miles on them. The bushings, adjustment clickers, and springs are all in good shape. 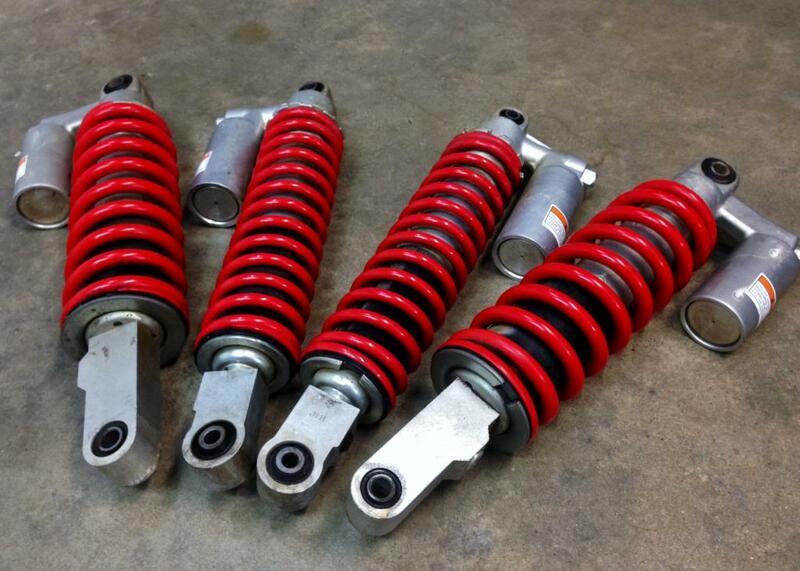 If you can get shocks worked on for cheap, these could be a deal for you. How does $200 shipped to the lower 48 sound? FCR Supension can rebuild them. New oil and seals no problem. We're working on springs and testing.